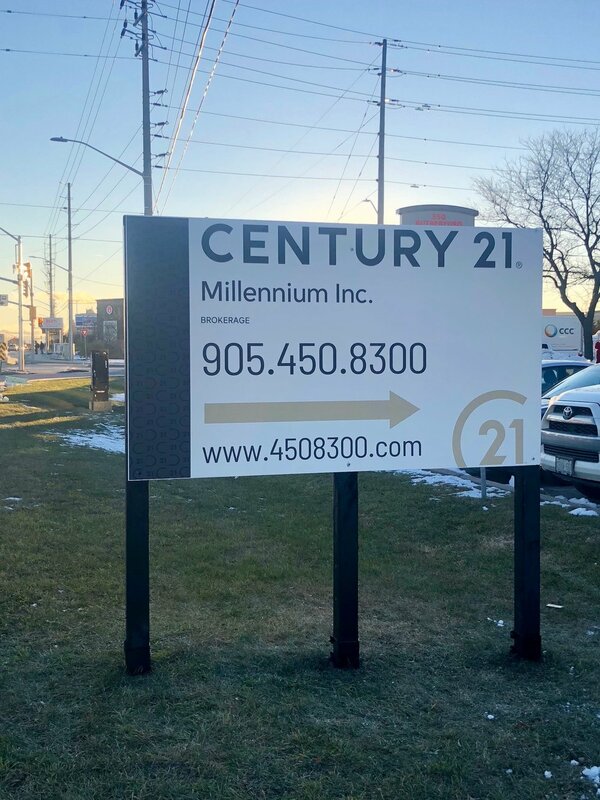 Promote your business, product, or special event professionally installed billboards or installed large panel signs anywhere in the GTA, like Toronto, Pickering, Ajax, Oshawa etc. Double sided commercial signs, billboards, and panels. We can create custom solutions for all your large sign installation needs. Single sided ground signs are a great way to advertise things like zoning changes. True Sign Group can install either a temporary panel sign, or a more permanent sign installation.